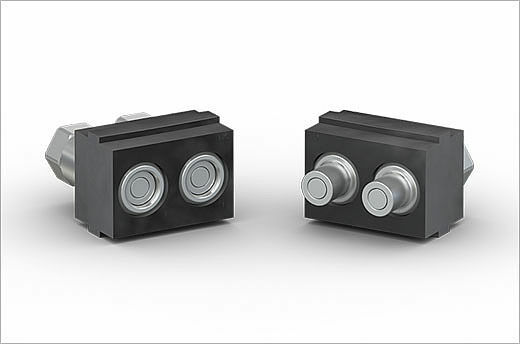 As one of the leading manufacturers of quick connector systems, Stäubli covers connection needs for all types of fluids, gases and electrical power. Our standard and specialized products, including single and multi-pole connectors, tool changers and quick mold change systems, combine performance, quality, safety, dependability and durability. Choose the original Stäubli. Specific solutions for a broad range of industries. Pneumatics, hydraulics, all fluids, cooling, breathing air, alternative fuel and other applications. Electrical connectors for power, data transfer, fiber optics, coaxial applications and more. Targeted or global solutions for safe and efficient mold clamping, transfer and maintenance in plastics industry. 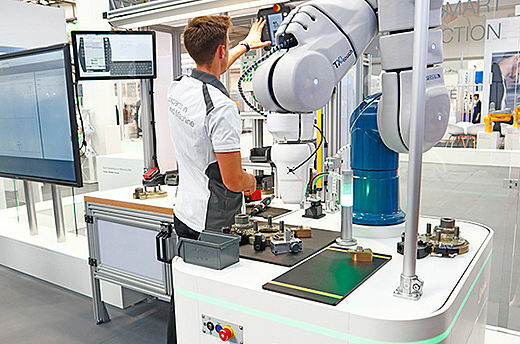 Robotic tool changing systems for the highest demands: see for yourself the performance of our automatic tool changers. Don’t play games with safety! Access to the 3D CAD library and brochure pdf-download section. CoolIT chooses the flush-face technology of Stäubli quick-connect couplings for data center cooling. Thanks to the Stäubli multi-coupling system, Eaton has saved close to 40% on its process during production line changeovers.